It has been said that Lizzie developed a love of poetry at a young age, after discovering a Tennyson poem on a scrap of newspaper that had been used to wrap a pat of butter. Unfortunately, we do not know which poem captured her attention. 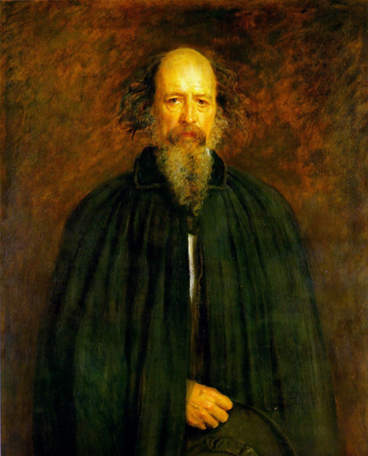 But in honor of that moment, LizzieSiddal.com would like to share some of Tennyson’s poems. 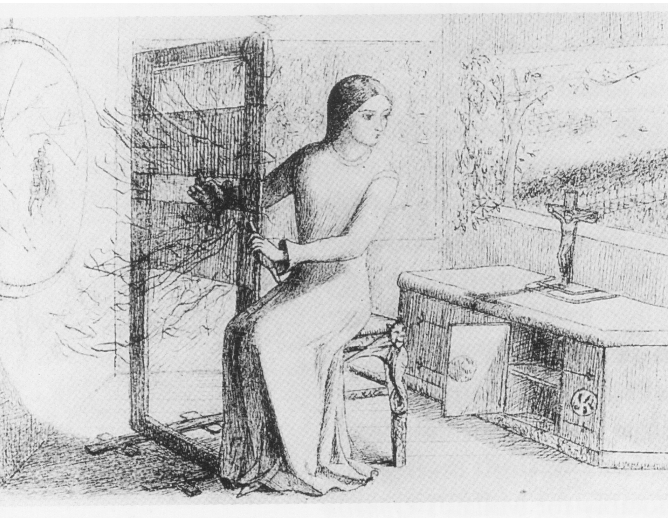 Illustration, drawn by Elizabeth Siddal, for Tennyson’s The Lady of Shalott. Just 201 years old today. Happy Birthday, Sir! Tirra Lirra by the river, sang Sir Lancelot. Real quote. It’s in the Carlyle letters. ha ha, I love that! I’ve been trying to choose, but can’t. I love Tennyson! Close to the sun in foreign lands. And, like a thunderbolt, he falls.